Let's start with the show that's closest to us... 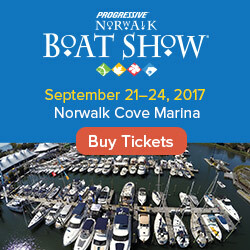 This weekend is the Progressive Insurance Norwalk Boat Show at Norwalk Cove Marina in Norwalk, Connecticut, Thursday through Sunday (September 20 - 23), 2012. 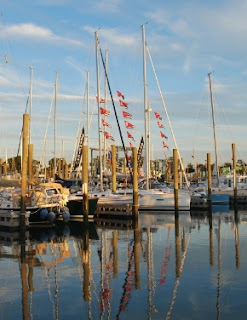 More info at: www.boatshownorwalk.com. By the way, our friends at NortheastBoater.com have given us a sneak peak of the show with pictures they took before the gates were open. 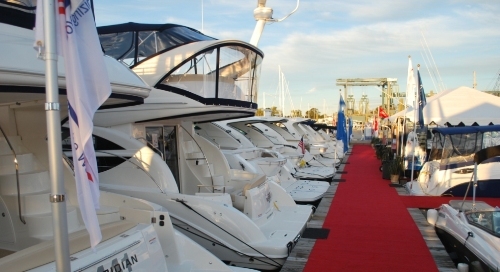 This is also the second weekend of the PSP Southampton Boat Show, "Britain's Best Loved On Water Boat Show". The show at Mayflower Park ends Sunday, September 23rd. The Monaco Yacht Show, which just sounds elegant, started Wednesday and runs through Sunday as well. 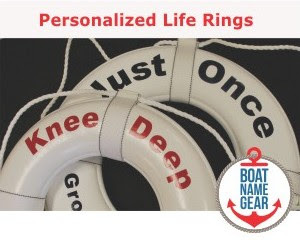 For our friends north of the border, this weekend is the 6th annual Boat Show at the Creek, located at Mosquito Creek Marina in North Vancouver, BC. Lastly, if you like classic and antique boats, check out the ACBS International Boat Show at Table Rock State Park in Branson, Missouri.